Join us for spectacular views of Oahu’s world famous North Shore. Whether you desire the adventure of soaring with tropical seabirds or just a chance to experience the unique beauty of paradise from the air, our scenic flights offer it all. All of our pilots and aircraft comply with all FAA guidelines and regulations. The aircraft is inspected before and after every flight, and at regular flight intervals to ensure the highest level of precaution. 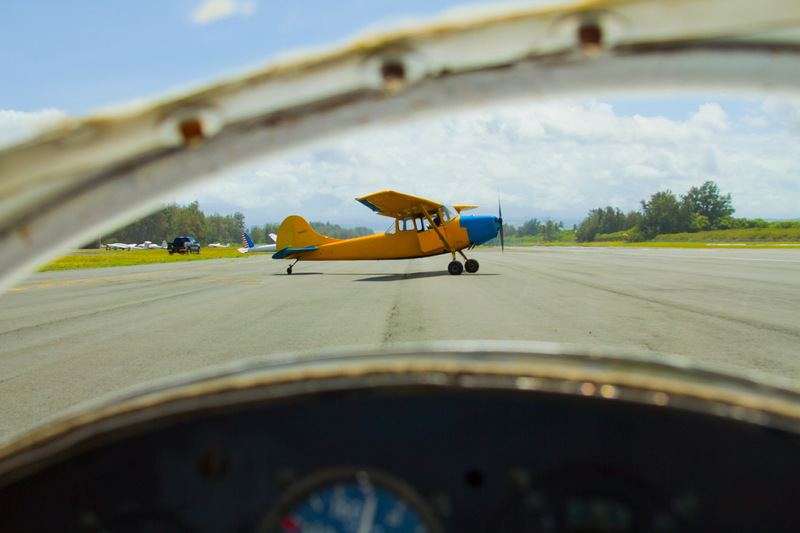 Our pilots all posses a minimum of an FAA commercial pilot license and meet strict training and safety standards. 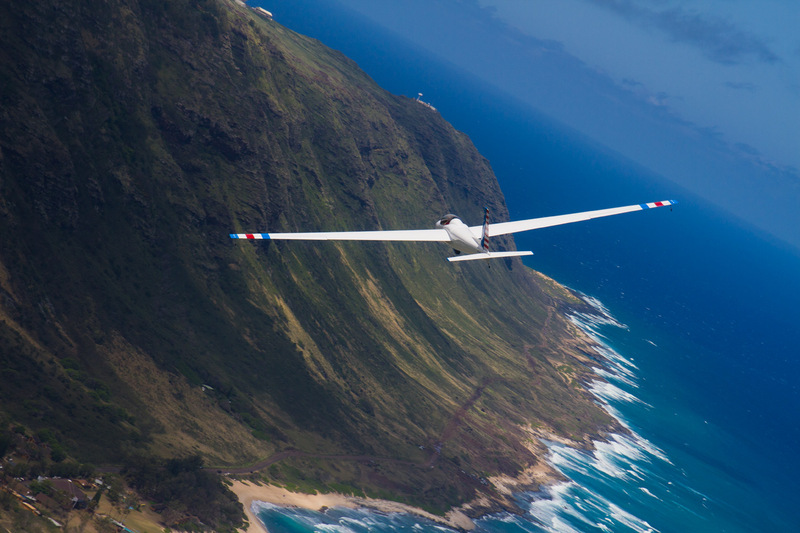 Our Schweizer 2-32 glider is powered solely on wind and can soar gracefully at heights of over 4000′ above the ground. It is quiet and spacious, without any of the noise or pollution generated from similar tours via helicopter or other small aircraft. The scenery of Hawaii’s World Famous North Shore can be enjoyed year round from the sky. 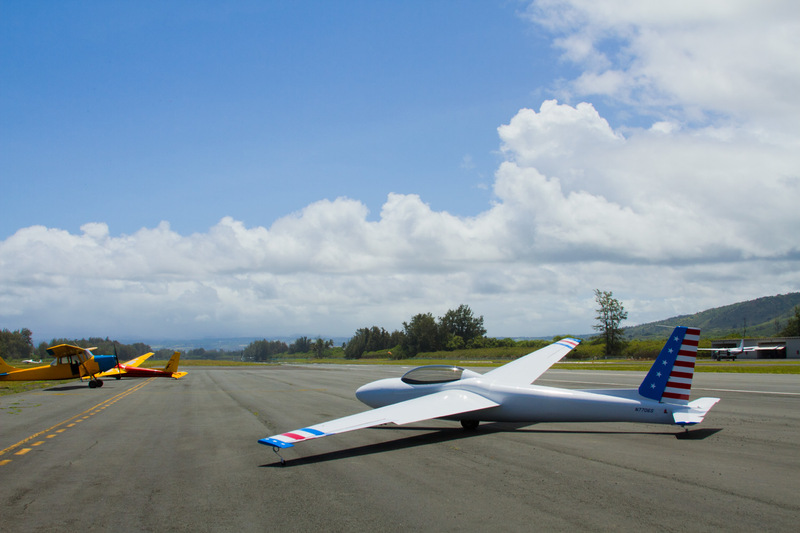 Our gliders provide one of the best platforms for aerial photography available. Experience soaring with seabirds, drifting silently above tropical rain forests and rugged coastal cliffs. During winter months, witness migrating whales breaching and the famous North Shore surf. Along with our professionally trained pilots, you can enjoy the skies alone, or as a pair to make it a romantic experience in the air, or share the adventure with a friend or child. Your pilot can also customize your experience to include more assertive aerial maneuvers. To most people the sky is the limit. For those who love aviation, the sky is home. I pick the prettiest part of the sky and I melt into the wing and then into the air, till I’m just soul on a sunbeam. © 2016 Above & Beyond Hawaii. All rights reserved.